Back already? Did you like our cool vid? We always have fun making those. All right, back to work! We sincerely believe that Solexx manufactures the most durable, economical, simple yet highly productive greenhouse kit on the market today. And we will explain why our "Bundled Deluxe Greenhouse Packages" are the best deal on the 'net. At the risk of repeating ourselves, we'll quickly summarize our reasons for this recommendation. Solexx™ is a unique double-walled plastic greenhouse covering manufactured by Adaptive Plastics, Inc. Not only does it provide optimum insulation, it's unique formulation and structure takes direct sunlight and diffuses it into a bright, soft, even glow inside the greenhouse. This feature prevents shadows and hotspots and accelerates plant growth by up to 30%. Are surprisingly strong and resistant to blows, hail, wind and heavy snow. Resist scratching, tearing, and breaking. Are UV treated for long life under the sun, without fading or yellowing. Are warranted for 10 years, but often last up to 20 years. 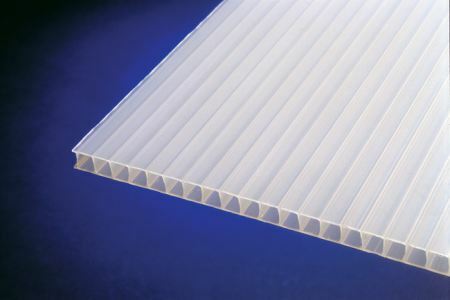 Are lab-test proven superior insulation over double or triple wall polycarbonate, double or single pane glass, and poly film. Low maintenance-easy to keep clean. Replacement paneling is inexpensive, readily available and easy to install. Since Solexx panels provide superior insulation, they hold in heat better and minimize supplemental heating costs. You need to take this into account when evaluating the pros and cons of different greenhouse coverings. 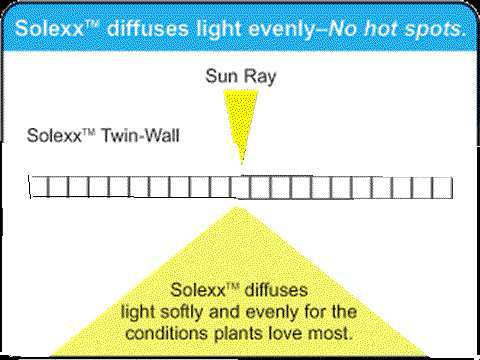 All of these reasons are why we believe Solexx panels are the best greenhouse covering buy for your buck! But what about the structure… the framework? 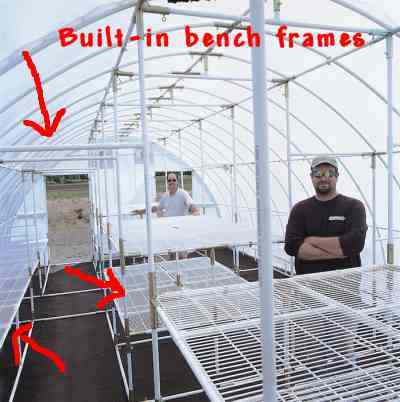 Solexx greenhouse kits utilize special tubing for support framing members. They are made from a superstrong composite material reinforced with fiberglass. This makes them strong as steel yet flexible and rustproof. Wood or metal frames cast shadows into the greenhouse; Solexx frames are white and reflect light just as the glazing panels do. They will never rust like metal frames; rot or absorb water or bacteria like wood frames. We offer wire bench shelves in our Deluxe Kits which custom-fit on these frames perfectly for your model; or you can build your own plant shelves to sit on the frames. 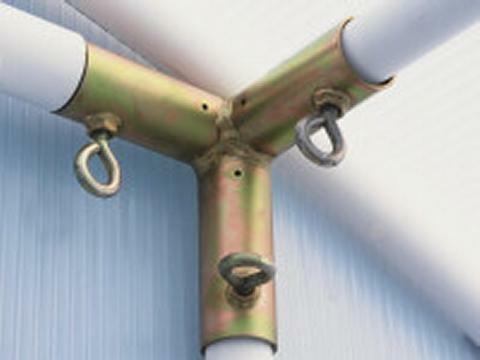 Cast metal connectors hold everything together and are easy to secure in place. Just watch this video to see how simple it is to put one of these babies together. Still not sure about Solexx greenhouses? Check out these honest customer reviews. 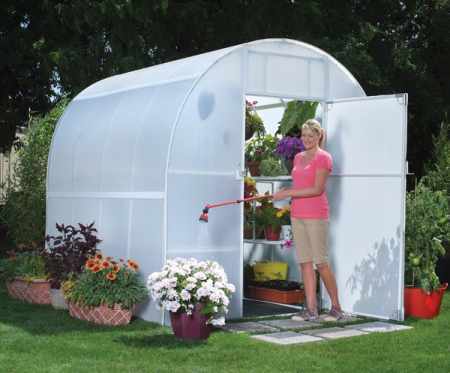 Solexx greenhouse kits come in a variety of shapes and sizes to accommodate your needs. From starter greenhouses to large conservatory greenhouses for the the serious gardener or commercial farmer, we've got you covered. 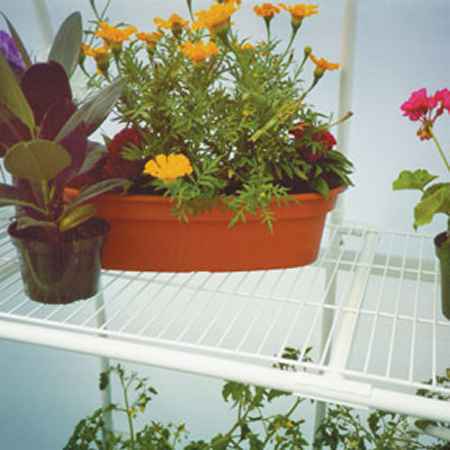 The Early Bloomer is a great starter greenhouse. 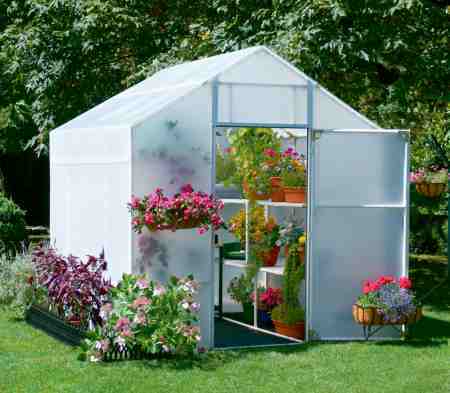 Although a compact 8'x8', it has an open floor plan which is perfect for over-wintering large and tall potted plants. 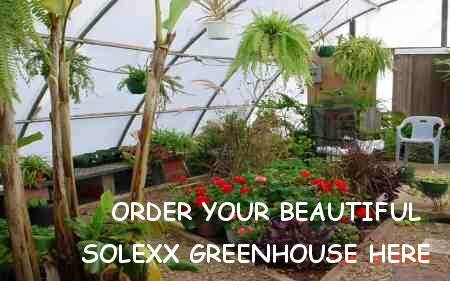 Learn more about Solexx Early Bloomer Greenhouses here. This is the best-selling model we offer. Available in 8'x8' or 8'x12' models, the roof is 8 foot high, making for lots of shelving space and plenty of room for lots of plants. Probably your best bet. Price out the Gardeners Oasis here. This model is shaped a little differently… The European A-frame style allows ample headroom (8'9" at the peak) for tall plants or trellising cucumbers and tomatoes. This also comes in 2 sizes: 8'x8' or 8'x12'. Four large bench frames provide an amazing amount of growing space. Read all about this larger Garden Master here. These spacious Solexx greenhouses are our tallest (9'6") and widest models. 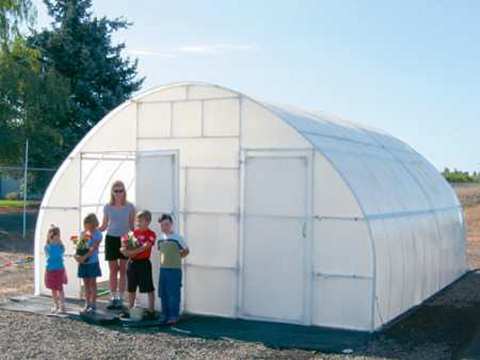 These greenhouses are perfect for schools, serious gardeners, and small commercial growers. All kits are 16' wide; you can order them 8', 16' or 20' long, and they come with either 2 or 4 doors. 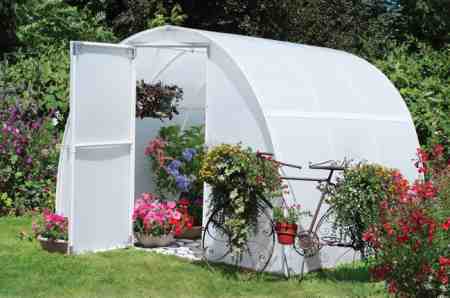 This would make a fantastic greenhouse if you need the space and can afford it. Check out our prices on Conservatory Greenhouses. If you are planning a hydroponics setup or any substantial garden inside the greenhouse, 8' x 8' just won't get it. I would suggest 8'x12' minimum. 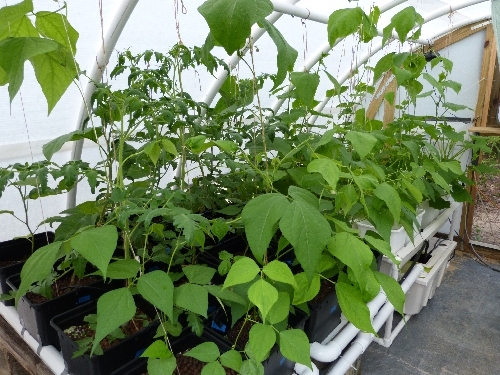 Check out our Photo Gallery of Solexx greenhouses! Going Pro? Then you will probably need a Commercial-sized Greenhouse.